The Museums of Middlesex, which the Middlesex Museum is a member of, are pleased to welcome the Colonial Seaport Foundation to its group of non-profit organizations working together to promote Middlesex County history. For more than a decade, the Colonial Seaport Foundation has served as an educational and charitable organization focused on preserving facets of colonial maritime history by providing historically accurate living history presentations and education to the public. Museums of Middlesex is an “umbrella” organization of the diverse museums and foundations in the County and formed to specifically to assist each museum or foundation in increasing visitors to area museums, promoting regional history and contributing to the economic development of the region by enhancing tourism. The Museums of Middlesex applies for multi-applicant grants and monies not available to its individual members for funding. Although the group is currently focused on promoting the historical aspects of Middlesex County, the ultimate goal is to also work to increase awareness of Middlesex as a destination for outdoor recreation, lodging, dining and relaxation on the water. The three founding museums include the Middlesex County Museum and Historical Society, the Urbanna Museum and the Deltaville Maritime Museum. The “Luna” should be substantially completed this summer. The “Luna” started as a bare hull and is planned to become a pier side location for education and lectures. “Luna’s” sparse below deck accommodations would have been luxurious to sailors used to the cramped quarters in the 18th century. This design allows “Luna” to be fitted out for various roles to include, classroom, cargo vessel, or movie set. In 2018, 23 Colonial Seaport Foundation volunteers provided 5,200 volunteer education hours through historical interpretation and maritime programs in four states and two countries. Volunteers are always welcome for vessel construction as well as education programs. 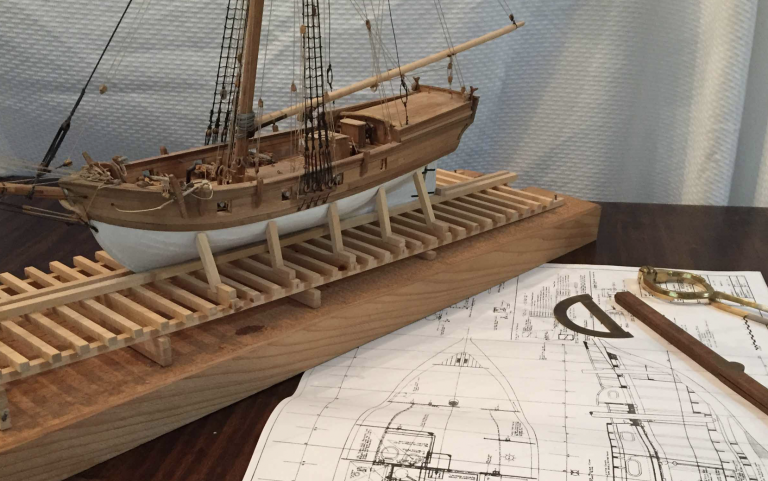 The Museums of Middlesex and the Colonial Seaport Foundation are working to set up their work area in Deltaville as a Middlesex Visitors Center and for the “Luna,” along with the Deltaville Maritime Museum’s Buyboat “F.D. Crockett” and the “Explorer,” acting as traveling ambassadors for Middlesex.